There is something magic about visiting a place at night, as compared to being there in daytime. When it comes to photography, I sometimes prefer being in places both at day and at night, because the change of light transforms places and gives a different mood. 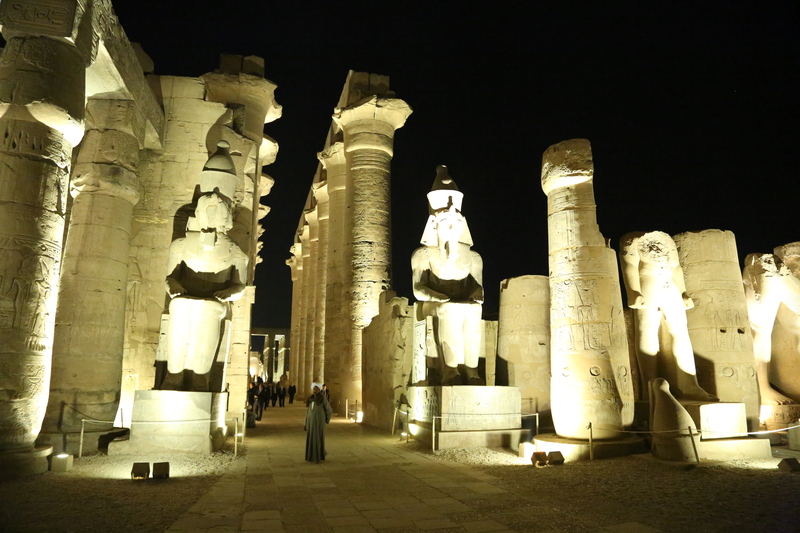 The night is all about magic, mystery and emotion, and I found myself recently in one of the most fascinating places on earth to experience that: An ancient Egyptian temple in Luxor, Egypt. While Luxor during the daytime is a hot, dusty and windy place with lots of people haggling to offer their service, it turns to a most different place at night. I enjoyed my afternoon tea at 5 p.m. on the terrace of the magnificent Winter Palace Hotel, watching the sun come down over the desert, and waiting for the Arabian night to fall. 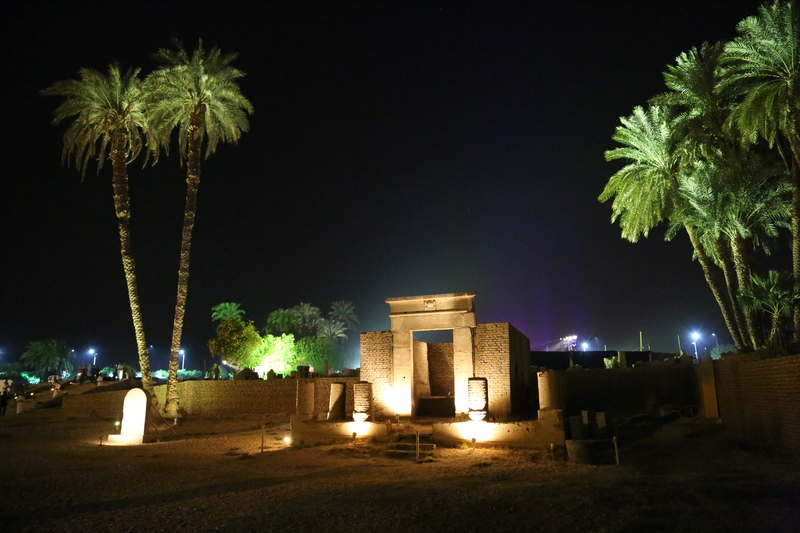 I have to mention, I was lucky enough to be invited by an Egyptian business partner who was holding a special event just that night, inside the Luxor Temple Complex. Dressed up in a tuxedo, we hopped aboard a horse carriage that took us the few meters over to the temple. It feels great to be all dressed up and then walk into one of the world’s most important archeological sites. Talk about magic. Inside, the night helps to reveal the temple in all its splendor. The outside is mostly faded away by darkness, and light is highlighting the important parts of the temple. As if the night was not taking away things and hides them, but it highlights what’s important. At night, you see more, not less. The temple complex itself with its high statues and columns is fascinating, and so are the stories that are told about the hieroglyph writing on the walls. But what really fascinated me as a photographer were the contrasts and shadow play that this monument offers. A private visit at night makes this a very intimate experience with history. Go anywhere, feel and touch. The place is ours for the night. And then, the buffet. Oh, life is good to me in these days. An experience that will linger in my memories for a very long time.